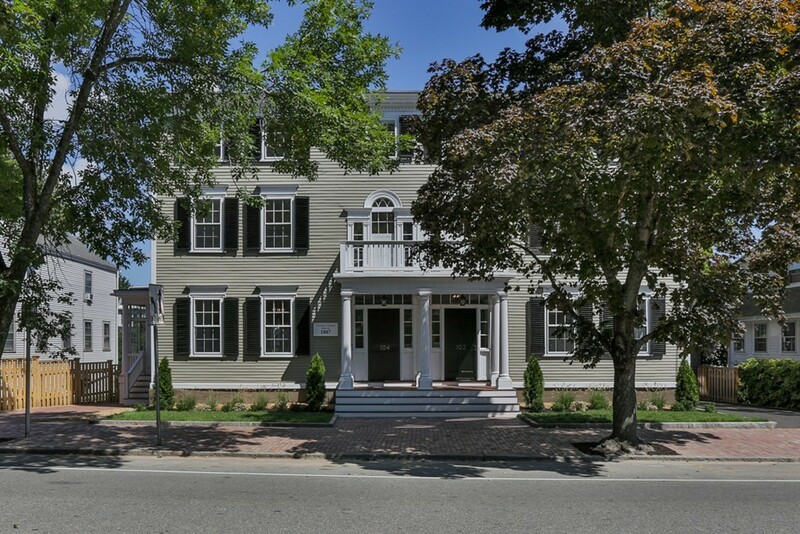 102-104 HIGH STREET CONDOMINIUMS - Located in the heart of Newburyport on Historic High Street, the Tenney-Noyes House has been painstakingly restored, renovated and transformed into 6 townhouse style units offering the best of in town living with the amenities and finish to please even the most discerning buyer. 2 and 3 bedroom layouts are offered with all featuring open floor plan living spaces, fireplaced living rooms, hardwood flooring, kitchens boasting bright white cabinetry, granite counters & stainless steel appliances and absolutely stunning custom designer bathrooms. Gorgeous mahogany decks, 2 car off street parking and separate storage room with each unit. Unit C has a flexible floor plan offering a spacious family room and 1/2 bath on the walkout lower level, living/dining/kitchen on 2nd floor and 2 spacious bedrooms and full bath on 3rd floor. Pet friendly! You won't find a more centrally located spot to enjoy the best Newburyport has to offer!